CWC Sparkling Cleans | Workplaces & Homes. Call 0410 112 035. We’ll keep your home, office or shopfront windows sparkling clean and looking great. You can choose to have your window cleaning weekly, fortnightly, monthly – or just on special occasions! We ensure that the windows of Cairns commercial operators, including offices, apartments, hotels, restaurants and factories always make a great impression on your clients and visitors. 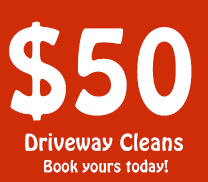 We’re a locally owned Cairns and operated business, and we can beat any genuine written quote (for Home, Office and Shopfront Window Cleaning) offered by another Cairns, Port Douglas or Gordonvale window cleaning service. Need an unbeatable window cleaning quote? 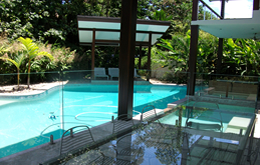 Servicing Port Douglas, Cairns, Beaches & Gordonvale. Call anytime, 7 days a week. 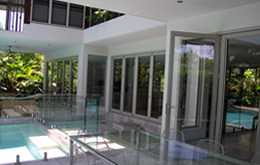 We’ll keep your home, office or shopfront windows sparkling clean and looking great. You can choose to have your window cleaning weekly, fortnightly, monthly – or just on special occasions! We ensure that the windows of Cairns commercial operators, including offices, apartments, hotels, restaurants and factories always make a great impression on your clients and visitors. 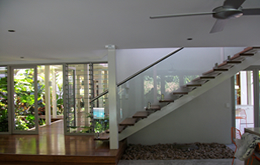 Servicing Port Douglas, Cairns, Beaches & Gordonvale. Call anytime, 7 days. CWC experts have been providing complete professional cleaning services to businesses for a long time now. You can depend on us to keep your premises clean, hygienic and looking great. You choose which cleaning services you’d like to have – vacuuming, dusting, detailing surfaces, window cleaning, rubbish removal and more. We make sure your washrooms are sparkling clean and hygienic for staff and visitors. And you have only to ask and we’ll keep your computer surfaces and keyboards clean and disinfected. 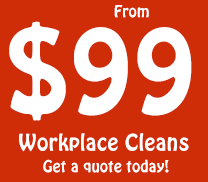 Need an unbeatable commercial cleaning quote? Servicing Cairns business district only. Call anytime, 7 days. Servicing Cairns business district only. Call anytime, 7 days a week. Whether you’re a business or a householder, we’re ready to help if you need water pressure washer cleaning services to remove unsightly and slippery, dangerous mould, cleaning of brick and concrete paving/driveways/pool surrounds, external or internal floor, wall and ceiling cleans and more. We use biodegradable chemicals, too. 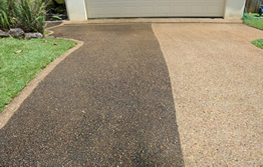 For dependable water pressure washer cleaning service in Cairns, Port Douglas or Gordonvale – just ask us and we’ll prepare a quote that will impress you. Need an unbeatable water pressure cleaning quote? Servinging Port Douglas, Cairns, Beaches & Gordonvale. Call anytime, 7 days a week. Servinging Port Douglas, Cairns, Beaches & Gordonvale. Call anytime, 7 days. "Thanks again. You did a fantastic job on our windows and doors they look brand new, no more dust on our fly screens either. I was really surprised when you orginally gave me the quote at how affordable your prices are. Thank you so much and see you again soon." Sofia and Sandy - Happy customer! "Thank you Leigh for the wonderful job you do cleaning our office everyday, the window cleaning services, path and the driveway pressure washing. We thank you for the time, effort and professionalism you show and it is appreciated and noticed by all int he office and most importantly those outside of the office!" Lucy and the team - Happy customer!